Spine Surgery in Tennessee | Highlands Neurosurgery, P.C. Nationally recognized for EXCELLENCE in neurosurgery for the second consecutive year. Highlands Neurosurgery, PC is a private spine surgery practice located in Tennessee comprised of experienced and skilled neurosurgeons and staff dedicated to delivering the highest quality, state-of-the-art services available in clinical neurosurgery. Board Certification in neurosurgery represents the approval of the Academic Neurosurgical Community in America, and is attained only after passing a rigorous multi-step evaluation process that begins in residency and is not completed until after at least two years in private practice. Highlands Neurosurgery, P.C. is pleased to offer this site to familiarize you with our spine surgery practice. Whether you are a patient, a referring physician or a member of the public, we hope you find these pages and links informative and easy to use. Please remember that the information we have provided is intended for general interest and not medical advice. Please consult your personal physician to discuss any health concerns you may have. 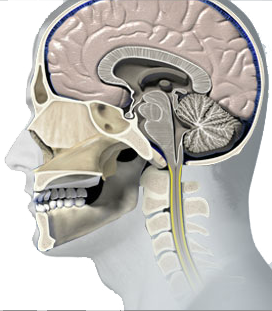 Neurosurgery encompasses the surgical treatment of the entire nervous system and its coverings. In other words, neurosurgeons evaluate and treat diseases and injuries to the brain, the entire spine and its contents, the skull and the scalp. Obviously, this is a complex field. The training program for neurosurgery lasts over six years, after four years of medical school, and is one of the most lengthy and arduous training programs in medicine today. Neurosurgeons spend approximately 70 percent of their time treating spine problems, and are the only specialists trained to treat the entire spine including the spinal cord itself. Highlands Neurosurgery is a private practice made up of experienced neurosurgeons and staff dedicated to delivering the highest quality, state-of-the-art services available in clinical neurosurgery. We consider ourselves fortunate to have a caring and knowledgeable staff to assist you. As a team, we will provide you the assistance and guidance unique to your needs. Our office is conveniently located within Bristol Regional Medical Center, where we perform in-patient and outpatient surgical and non-surgical procedures. Dr. Travis Burt and Dr. Matthew Wood founded Highlands Neurosurgery in 2001. Prior to that time, both physicians had practiced in the area for a number of years. Dr. Wood began practicing in Bristol in 1988. In 1995, Dr. Burt moved to Bristol and began his practice of neurosurgery. Dr. Jody Helms joined the practice in July 2010, following the completion of his neurosurgery residency. Click here to learn more about your condition or to see a computer animation of the procedure you are considering.